One of Australia's oldest cities, Brisbane has a fascinating past that has transformed itself into a thoroughly modern and artistic city. Brisbane is one of the original sites for the secondary offenders (the overflow convicts from Sydney) for which there was no room for after being shipped to Australia. The city is now known not only for its colourful past but for its wealth of art galleries, museums and contemporary lifestyle. It has an imposing facade as Mt Coot-tha stands guard over the city. Interestingly, this is also the site of the National Botanical Gardens on the Brisbane River. 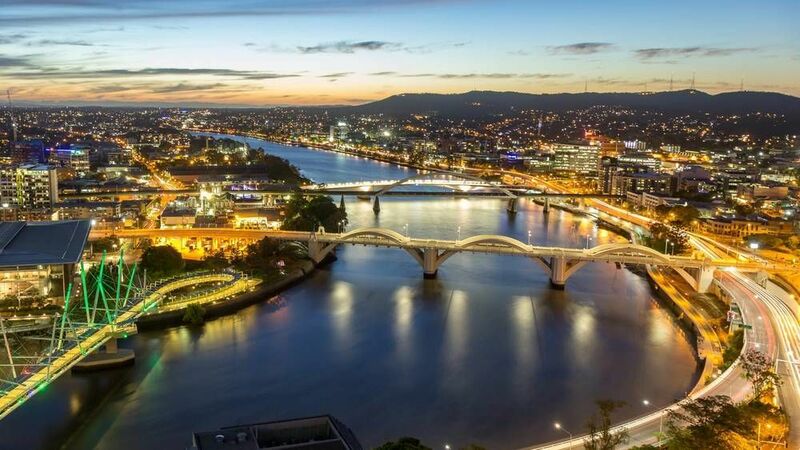 What is arguably one of Australia's most underrated cities, Brisbane should not be missed during your trip to this incredible country. In true Australian fashion, the people are welcoming, always readily available for a beer, and even host their very own Oktoberfest. If you're looking for fantastic nightlife and friendly people, the Brisbane is the place to be. If you’re a real gritty city kid, this is the place for you. The nightlife is unrivalled, the art scene fantastically modern, and the people are welcome. This is simply an energetic city that will leave you wanting more. Check out one of the free walking tours in Brisbane to immerse yourself in the culture and get to know the city. Run by the visitor information centre, the Greeters are local guides who have a wealth of knowledge of their beloved city. The free city tour is busy, so you will need to book your spot. It will take you to all the highlights such as the Brisbane Arcade, City Hall, Queens Gardens, Old State Library, the Botanic Gardens, Old Government House, Brisbane Club and the only statue of Queen Victoria. This is a great tour for all visitors to get an induction of the city if you're staying only a few days or a while longer. Another trip you will need to book, though! This tour covers all you would want to know about the city, the history and aboriginal history, art, great rock and pop venues, iconic landmarks and beautiful churches. Below you can find more popular (but not free) activities and tours in Brisbane. Are you from Brisbane and want to be a tour guide? Please get in touch by submitting your details on this page!